Obituary – Brown, Thelma (Knox) « Perry High School Alumni Association, Inc.
﻿ Senior Class Sec.-Treas. ’21-’22; T. M. S.
Thelma Brown, 85, 1213 Cedar street, long-time educator, died at 12:40 a.m. Thursday at Green Valley Nursing center. Funeral will be at 2 p.m. Saturday at the First United Methodist church. Rev. Bill Stacy, pastor, will officiate. Burial will be at Grace Hill cemetery under direction of Brown Funeral home. Mrs. Brown was born at Perry, April 16, 1904. Her parents were Allen and Katherine Knox. 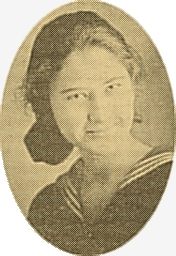 She attended Perry schools and Oklahoma A&M college. 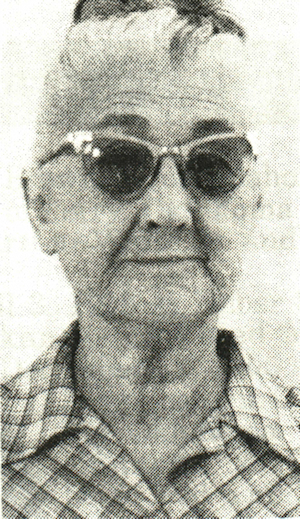 Her husband, Robert Lloyd Brown died in 1931. A teacher in the Perry public school system for many years, Mrs. Brown was a member of the United Methodist church, United Methodist Women, American Association of University Women and Delta Kappa Gamma. She was among the first members of the Perry Camp Fire program and had served as a den mother for Perry Cub Scouts. A sister, Ethel Knox, Perry, survives.